A shout-out to all the urbanites! Speed date at a slow pace and enjoy a sumptuous Korean Set Dinner while you hang out and connect with fellow participants over shared topics and interests. 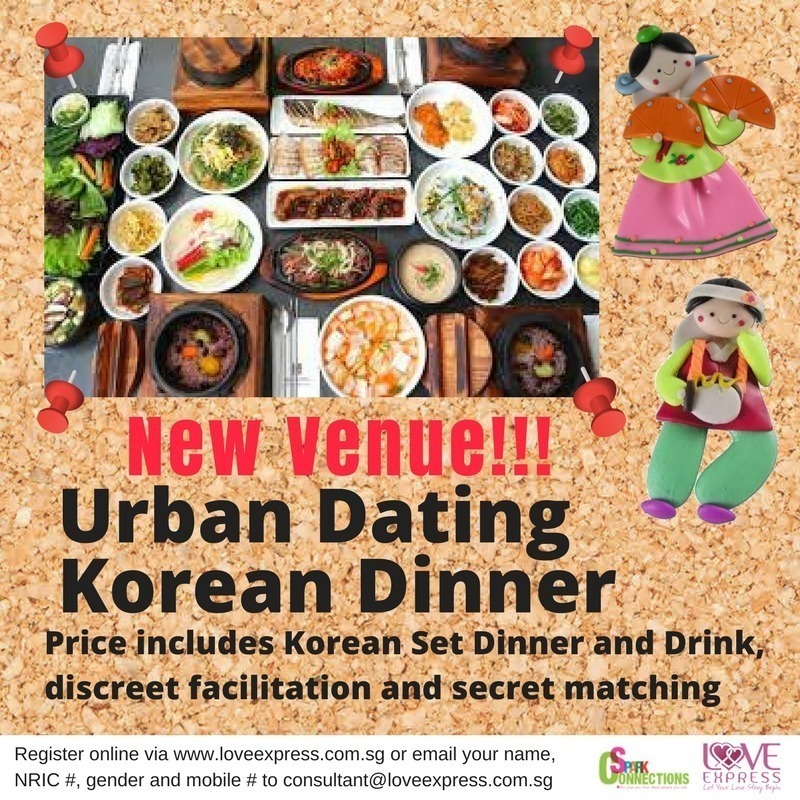 Price includes Korean Set Dinner and Drink, discreet facilitation and secret matching (if there is a mutual match, contacts will be released to both participants).